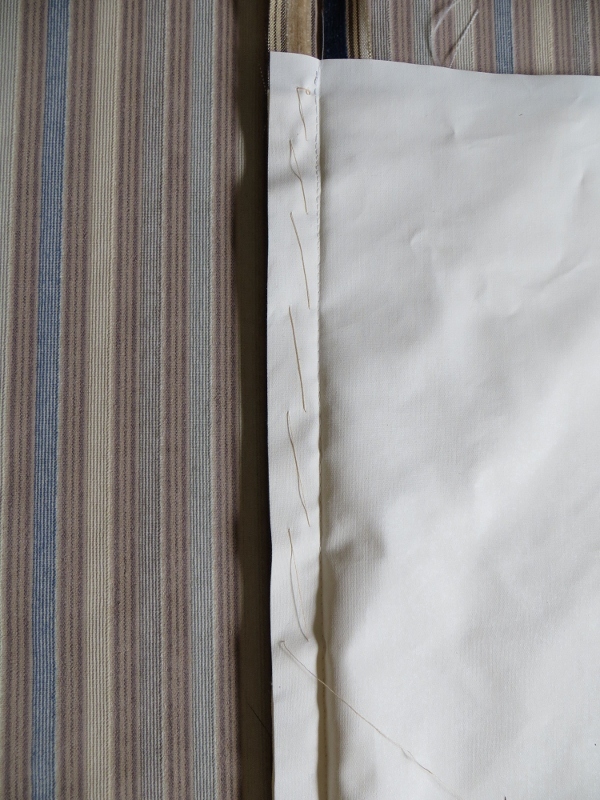 The lining was measured, cut and joined to match the drapery fabric. Now I’m using long basting stitches to attach the lining to drape itself. The next leg of the project is attaching the lining to the drapery along the hemline, return (sides) and overlap (centre front) of each drape. 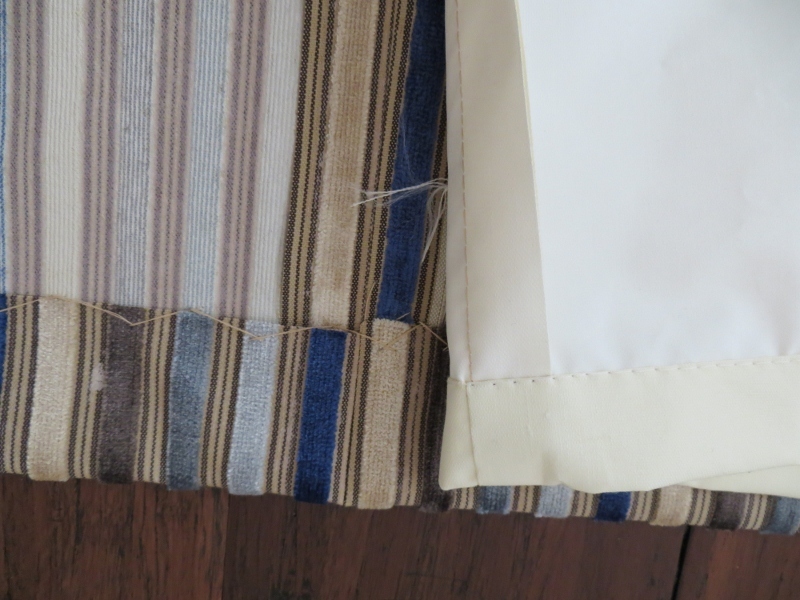 The lining has been cut to match the hemmed drape, and the bottom turned up twice and machine stitched. Now the lining will be slip stitched along each side and the bottom hem. I am impressed. That’s a lotta hand sewing love going into those curtains!